The recent addition of five new states rounds out a 20-state roster for a federally funded effort, led by the University of Florida, to help states vastly improve the effectiveness of teachers and public school principals who serve students with disabilities. Supported by $25 million from the U.S. Department of Education, the UF College of Education has created a national center that is in the midst of a five-year, project to lead major reforms in policy and educator preparation. Their mission: to help states increase academic success for students with disabilities by improving the training and practices of their teachers and school leaders. A team of faculty scholars from UF’s nationally ranked special education program heads the CEEDAR Center, based at the College of Education. 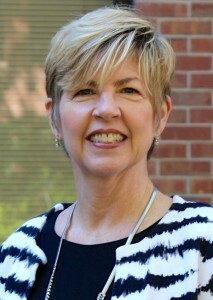 CEEDAR is short for Collaboration for Effective Educator Development, Accountability and Reform. The UF CEEDAR Center’s reach and scope extends beyond its 20 member states. Center leaders hope teaching strategies and standards proven successful in its federally supported project will be considered for adoption by all states. Last year, the CEEDAR team joined forces with the Council of Chief State School Officers to distribute a nationwide report on “clear policy actions” and guidelines that education department leaders in every state can take to meet the needs of all their students, especially those with disabilities. The CEEDAR Center was charged to partner with education leaders, groups and agencies, and university teacher prep programs from five states each year, from 2013 through 2016. The latest and final five states to join—the “class of 2016”—are Kentucky, Mississippi, Colorado, Nevada and Rhode Island. Florida, the CEEDAR Center’s home state, was one of the first five states to join in the first-year cycle, along with California, Connecticut, Illinois and South Dakota. Year Two in 2014 saw Georgia, Montana, New Hampsire, Ohio and Utah come in. Last year, Arizona, Michigan, Missouri, Oregon and Tennessee were added. Brownell said between 60 to 80 percent of students with disabilities spend time in general education classrooms, underlying the need to improve teaching and leadership in all schools. 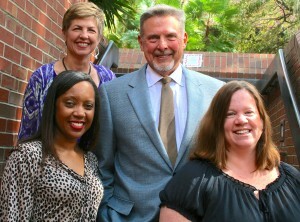 Brownell’s co-directors of CEEDAR are fellow UF special education professors Paul Sindelar and Erica McCray. Each state CEEDAR team comprises general and special education faculty experts and administrators from state universities and teacher prep programs, and state education agency leaders and regulatory officials. The teams each have a designated leader and facilitator chosen from one of four participating national groups—the UF CEEDAR Center, the American Institutes for Research, the Council of Chief State School Officers, and the University of Kansas. CEEDAR faculty and staff used a comprehensive vetting process to select the 20 partnering states, based on their needs and goals, level of commitment and engagement, collaborative spirit, level of support from state education officials, and other factors. She said the CEEDAR strategy places heightened emphasis on exposing all students to high-quality instruction in reading, writing and mathematics. Instruction is based on two teaching frameworks that provide increasing levels of academic and behavioral support to any students who need it. Brownell said educators in the 20 CEEDAR states gain access to a host of resources, including the consulting services of the CEEDAR faculty and staff and the center’s partnering support organizations. Those include the American Association of Colleges for Teacher Education, the Council for Exceptional Children, the Council for the Accreditation for Educator Preparation, the National Association of State Directors of Special Education and the Association for Persons with Severe Handicaps. CEEDAR also stages webinars and workshops and has created a website with a Facebook-style “wall” for member-networking and sharing ideas. The site also offers numerous multi-media resources to help state teams bolster their knowledge of best teaching practices, teacher prep regulations, program licensure requirements, and other pertinent topics. Brownell said many states are already developing detailed action plans, strengthening collaborations between state education interests, expanding professional development programs for teachers, redesigning their teacher prep programs, and enacting new standards so all teachers and principals can work successfully with students with special needs.